Do you see the characteristics of an epic leader in your daughter? Do you ever wonder where she gets these fabulous plots that she seems to hatch? And what about that air of grace and pride that always seems to follow her around, where did that come from? Maybe your daughter was the iconic Queen Cleopatra in a former life. Cleopatra has been remembered throughout history for a reason. She took the throne with her brother from a very young age and though her court didn't expect her to start making decisions, like the teens of today, she kind of thought she knew everything already. She soon was ruling without her brother, calling shots near and far. Ever resourceful, when she was forced to leave Egypt, instead of giving up the throne she had herself rolled into a rug and sent to Caesar to ask him to help a Queen out. Of course, he complied. 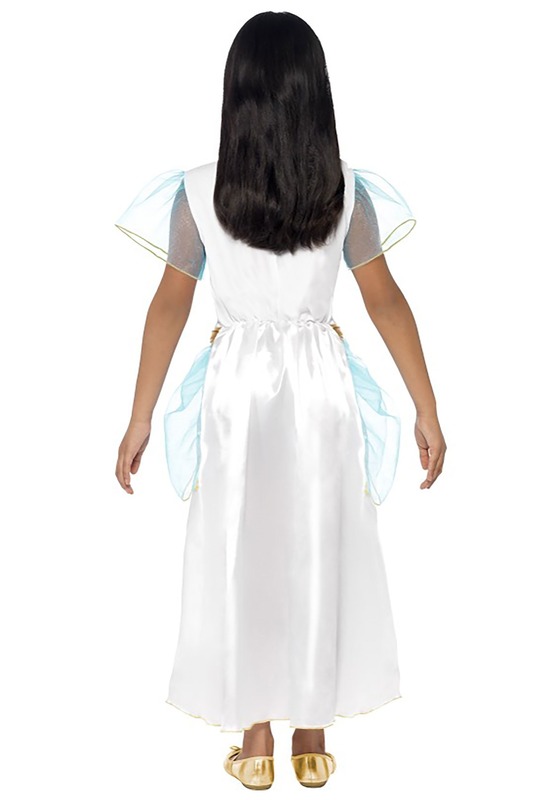 In this white satin dress, your little royal would gain an alliance with Rome in no time. The gold detail encrusted with jewels would make it obvious that Cleopatra is the rightful ruler on the Egyptian throne, ruler of the pyramids, sovereign of the Nile. The light mesh on the hips and arms gives the dress the breezy feel needed for those hot Egyptian days. Your girl will be ready for her throne in those marble halls when she puts on her Cleopatra ensemble. 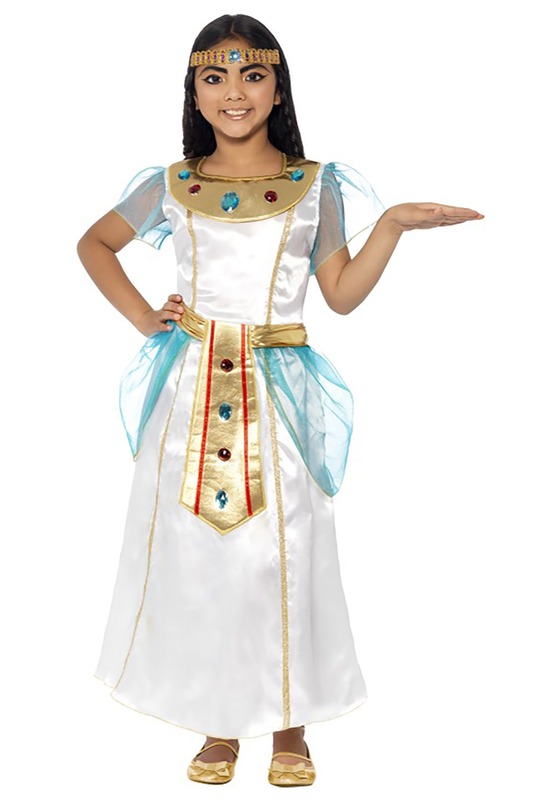 This Halloween, it's time to take a break from the yearly princess gig and let your wise daughter turn into the powerful ruler you always knew was there.